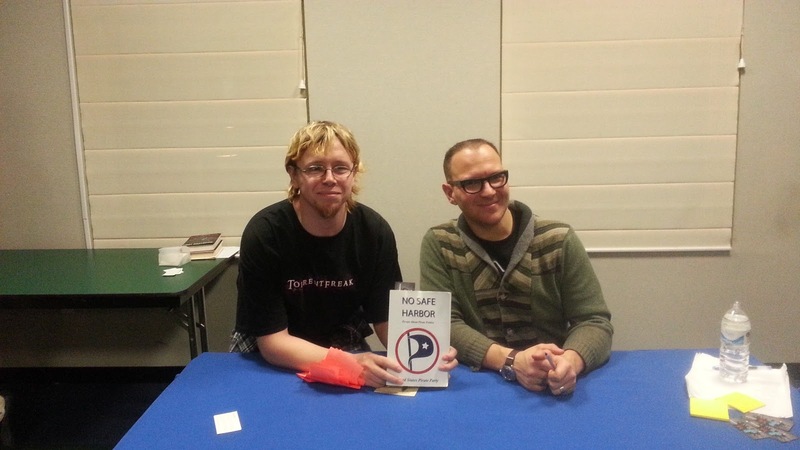 For those that didn’t know, Cory Doctorow was doing a tour to promote his new book “Homeland”, the sequel to Little Brother. On Feb 17th, he stopped by the Decatur Library, to give a little talk. I also apologize that because I was paying attention to Cory, I wasn’t paying attention to how I was holding the camera, so it’s being held the wrong way around.